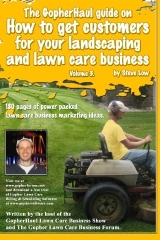 « Create your own blinking light lawn care business card holder for your truck. 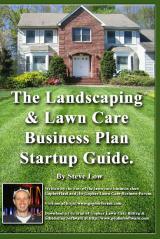 You can get a lot of great business advice from entrepreneurs who operate in many different fields. Yes their businesses may differ from yours in many ways, but a big part of what is involved in being successful is similar across the board. So by picking up a few pieces of information here and there, you can put together a bigger picture that will work well for you and your company. 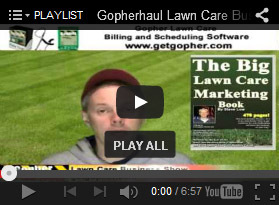 Here are some great business insights that a lawn care equipment dealer shared with us on the Gopher Lawn Care Business Forum. 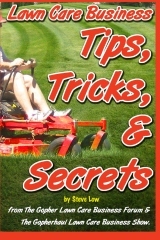 He wrote “here are some of the biggest lessons I learned while trying to set-up a mower shop and sell locally. 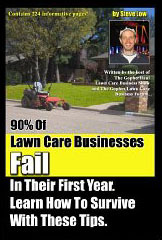 I bet a lot of these lessons apply to lawn care business owners as well. 1. 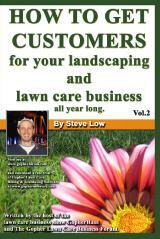 We found it hard to compete with big box stores on prices of new lawn and garden machines. Yes they carry specific models that we dealers can’t get and they buy in enough volume to keep their prices low. We don’t floor plan so as to not tie up too much money that we could use elsewhere, but can and do order specific machines for customers @ 10% over our cost. No matter what industry you are in, you are going to find it difficult to compete with larger competitors. When you find yourself up against a larger company, do what they can’t do and be what they can’t be. 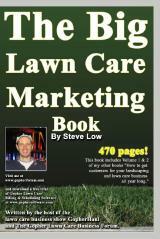 If you are small, be proud of being small, nimble, and promote your personalized service. 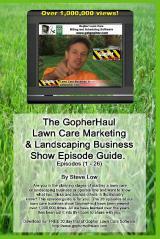 Business lessons from a lawn mower dealer. 2. If you can’t beat them….join them. 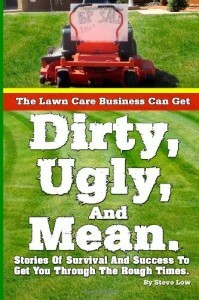 Big box stores rarely do any service or warranty work on the lawn care machines they sell. So I thought it might be a good idea to approach them and see how we could work together. Now I handle all their service and warranty work. 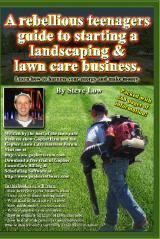 As a lawn care business owner, you could partner up with a fertilizing company and handle all their customer’s mowing requests. 3. Every industry has to deal with lowballers. We have them too. Actually what we have is a lot of people out of work trying to get by, by doing whatever it takes to feed their families and pay the bills. Some get in over their heads quickly with not knowing that each machine requires different filters and some of these wholesale for over $40.00 while they are advertising they can do a complete service for $39.00. 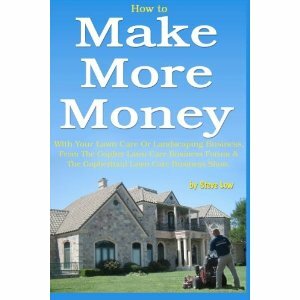 We more lowballers when the economy slows and less lowballers as the economy turns around and they get back to work. I try to help everyone and am more than willing and do give discounts on parts at times. I watch for purchase patterns and can pretty much pick out customers I want to offer discounts by watching their orders and seeing which are for larger quantities of parts. When I see those big orders I will shoot them an email offering to give them discounts if they stick with us. This helps keeps us competitive. 4. I love meeting with people and like the catch phrase of ‘A stranger is just a friend you have yet to meet.’ Not sure who said it, but it rings true to me. I think the biggest reason our business has been successful is the way we build trust. 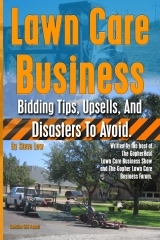 See…you are not selling a riding mower…you are selling yourself, business, and letting the customer know you ‘are’ going to be there to go above and beyond well after the sale. Does your word mean anything and what kind of a reputation do you have in the community your selling in? Do you give back to the community? What comes around goes around three fold. 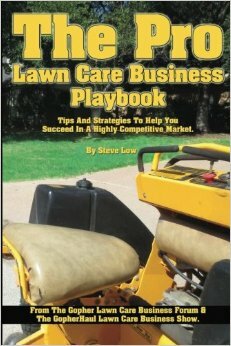 The same holds true for you lawn care guys….you’re not selling a yard care business…you’re selling yourself in that you want to show the customer they can trust you to do what you say you will do. Do exactly that and a little more to boot. Sell low - deliver high! Don’t ever tell someone you can do something and then not be able to deliver. As they say …bad news travels fast. 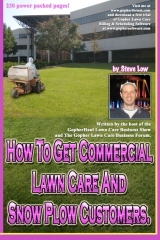 This entry was posted on Thursday, March 13th, 2014 at 6:44 pm	and is filed under Goodwill, Growth, How to get, How to sell, Lawn Care Business, Lawn Care Customers, lawn care equipment. You can follow any responses to this entry through the RSS 2.0 feed. You can leave a response, or trackback from your own site.